Cindy Brittan, managing director of the Henley Ice-Cream Parlour, has paid tribute to her heroic husband and an outstanding team of medics who she believes saved her life this Christmas. While most people dream of waking up on Christmas morning to a stocking by the fireplace and presents under the tree, Cindy found herself waking up in intensive care. But she couldn't have wished for a better present - as she believes she cheated death that night. Cindy suffers from Asthma and as thousands of people geared up for the arrival of Santa Claus on Christmas Eve she was struck down by a severe attack that nearly claimed her life. The attack began at around 11pm and saw her collapse and stop breathing, but thanks to her husband Steve's quick thinking, she survived the near fatal episode. Cool-headed Steve immediately dialled 999 and while waiting for the ambulance to arrive spent over five minutes giving her mouth to mouth resuscitation. Two hours later, Mrs Brittan woke up in the intensive Care Unit at Redditch's Alexandra Hospital safe and well and able to see her grandchildren again. Speaking from the safety of her Ullenhall home, she said she wanted to say a huge thank-you to all the people who helped her, especially her husband. She said: "Without the help and expertise of these people who understood the problems of Asthma, the A and E unit and the wonderful care of all the staff, I would not have been able to share a late Christmas with my four very young grandsons and family. The Joint Parish Council announced in its January Newsletter that the long awaited new Henley website at www.henley-in-arden.co.uk will go live on the 31st January 2005.
Henley News on-line was consulted about this new initiative and we suggested to the promoters that a single official Henley website should be established run by an independant committee, may be the TIC. We offered to contribute the Henley NEWS on-line site. Clearly, it will be undesireable to have multiple Henley websites and so we have decided that Henley NEWS on-line will publish its last edition on Friday 27th January. Over the last two years, Henley NEWS on-line has published 85 weekly editions. It has gained a very significant readership in the Town and last year received an award in the Warwickshire Village Ventures Competition 2005. If you're looking for a way to advertise an event, here's how BBC Coventry and Warwickshire can help. The Guide is a local entertainments and events bulletin broadcast approximately twenty minutes before each hour on BBC Coventry and Warwickshire (94.8, 103.7, 104 FM & Digital radio). The BBC says: "It's a brilliant way to get people talking about your event, and it's entirely free. All we ask is to make a short recording of you telling us what the event is, where and when it takes place, and how to find out more. This can be done in our studios here in Coventry- or if you're based around Warwickshire you may find it more convenient to pop into your local library. We have correspondents in Stratford, Leamington, Nuneaton and Rugby libraries who will be happy to help." 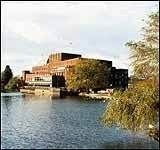 The Royal Shakespeare Theatre in Stratford-upon-Avon has been awarded a £20m grant towards its proposed multi-million pound regeneration. Regional development agency Advantage West Midlands has given the grant to the £100m project. The Arts Council has already promised £50m towards remodelling the theatre to make it the world's best for performing Shakespeare's plays. The final £30m will now be sought from individuals, businesses and trusts. The work is expected to begin in April 2007 if all the funding is found in time. The project involves building a 1,000-seat auditorium at the Grade II* listed building, which will give a modern take on courtyard theatres of Shakespeare's time. There will also be bars, restaurants, shops and exhibition spaces involved in the proposed complex.
" I am delighted Advantage West Midlands has recognised the importance to the region of the RSC's plans to transform its theatre and estate," said Royal Shakespeare Company's executive director Vikki Heywood.
" The positive reaction to our emerging ideas gives the confidence that we are on the right track." TWO South Warwickshire dare-devils are polar bound in what has been dubbed the most extreme endurance challenge on earth. Darren Ariss from Claverdon and Tommy Dalman from Henley will be donning their skis and arctic gear for the Polar Challenge this April. 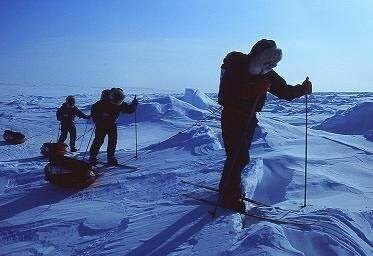 The massive challenge will see the duo set off from Resolute Bay, Canada, for a 60 mile walk just to the start line. From there they will ski, pulling sledges weighing a whopping 100 pounds, in a race to the magnetic North Pole - a distance of 350 nautical miles through arguably the most hostile environment in the world. The race, which will be covered on television, national and local newspapers, is said to be the toughest and most extreme endurance challenge on earth and generates a huge amount of publicity. There will be 24 hour daylight at that time of year, but temperatures will be as low as minus 35 degrees, with a wind chill as low as minus 65. As a result they will be battling the dangers of hypothermia, frostbite, not to mention polar bears. Mr Ariss, 35, is a tactical trainer based at Bromsgrove Police Station. He said: “This is a once in a lifetime opportunity that will push the competitors to the absolute limit, both mentally and physically. To put it in perspective, more people have climbed Mount Everest than have been to either of the Poles. “ In the New Year we will be stepping up our endurance work, training for many hours at a time to obtain the required fitness to undertake the challenge. Trips are also planned to Austria and Norway in preparation for the Arctic”, he added. Mr Ariss and his team mate Mr Dalman aim to raise £20,000 through sponsorship, which will be donated to their chosen charity the Society of Parents of Children with Cancer (SPOCC). Mr Dalman, 27, plays rugby with Mr Ariss for Claverdon Lions. They chose the charity because 15-year-old Jasmine Shaw, the daughter of a fellow player, is being treated for leukaemia at Birmingham Children’s Hospital. They have already received sponsorship from Classic Rock Direct, Emerald Stone Homes Ltd, Montague Capital, Bayliss Hardings and Parkinsons. At Beaudesert and Henley-in-Arden Joint Parish Councils meeting on Monday night (19th December) the Council raised concerns about the number of tree that had been felled over the years at the development at Yew Tree Gardens in Henley-in-Arden. A planning application to carry out aboricultural work to seventeen trees was discussed, which included two trees that were proposed for felling. Yew Tree Gardens is a development of retirement houses in Henley-in-Arden. The properties were built among a large number of trees, some of which are subject to tree preservation orders. Council members felt housing developments, such as this, built in areas containing trees were often developed following assurances that the trees would be preserved but once the development was in place the trees were steadily removed. Members commented that if this was allowed to continue the town would be ‘Henley’ without the ‘Arden’. They resolved to object to the felling of the proposed trees at the site stating that they had strong reservations about the number of trees which had been felled over the years as cumulatively this site denuded of trees would be harmful to the setting. However, they raised no objection to the pruning, pollarding and height reduction of the other trees at the site as they understood the need for some tree management. 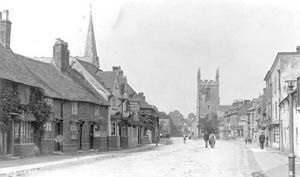 Later in the meeting they also raised objections to the removal of trees to the land adjacent to the River in the copse on the north east boundary of Henley as they stated the trees were an important part of the entrance to the town. Following a communication from Stratford on Avon District Council’s Enforcement Officer, concerning a fence erected in November on the Stratford Road, members agreed to respond that they found the fence unacceptable; it was too high and unsightly and was placed in front of the line of the other fences and hedges on the roadside. Planning legislation requires that a boundary treatment adjacent to a highway be no more than 1 metre in height. The fence was originally substantially higher than 1 meter it was then reduced but is still higher than the permitted height. The matter would now be referred back to the Enforcement Officer for action. They also resolved to query the cost of elections with the District Council. The schedule of estimated charges to be levied on the Parish Council in the event of an un-contested election showed a charge of £100. Members decided to ask what this charge included. If the election was contested members noted that the cost to the Parish Council rose considerably and they wondered if this could be reduced in anyway as traditionally contested Parish Council by-elections have produced a low vote turn out which, with present costings, could show a cost of over £5.00 per vote. The council went on to award grants to local community groups and organisations for the financial year from April 2006 to March 2007 awarding grant totalling £10,250. Supporting amongst others the War Memorial Trust – Town Improvement Committee, Henley in Bloom, the Hub (Youth and Community Centre) and the Heritage and Visitors Centre. 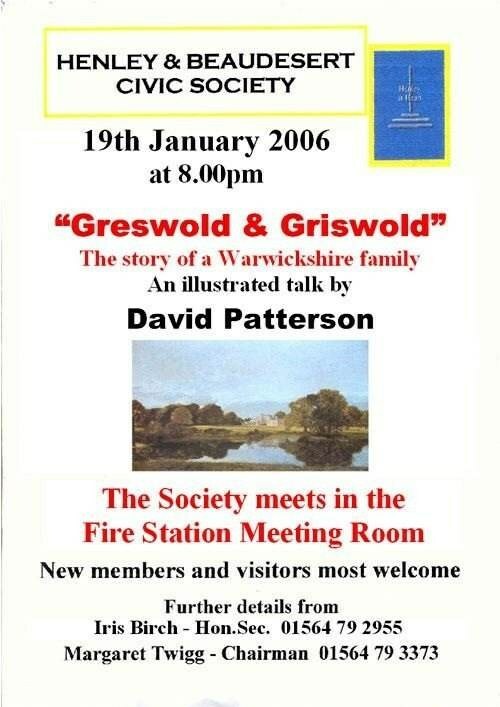 The next meeting of the council will be on Monday 16th January 2006. The meetings of the council are held in the Baptist Church Hall, Henley-in-Arden from 7.15pm and members of the public are always welcome to attend. The councils wishes all its residents a very happy Christmas and a peaceful and prosperous New Year. Johnsons coaches have tickets available for two Birmingham Shows which are virtually sold out. The first is “Ol’ Blue Eyes” which takes place at the Symphony Hall, Birmingham on Friday 24 February 2006. Tickets are for the rear stalls at £39 and include luxury coach travel to and from the event. “Ol’ Blue Eyes” is a concert of Frank Sinatra songs sung by Gary Williams who is making a welcome return to Birmingham. The second show is the ever popular “Chitty, Chitty, Bang, Bang” at the Birmingham Hippodrome on Saturday 1 July 2006. Tickets are again in the stalls at £55 which include luxury coach travel. The show has come direct from the London Palladium with a cast of over 70 with sensational sets and stunning special effects. These two shows form part of Johnsons extensive concerts and theatres programme with the convenience of travelling by coach, therefore eliminating concerns about driving into Birmingham, parking and walking across the city centre to the theatre. Warwickshire County Councils Stratford on Avon Area Committee working with Warwickshire Rural Community Council is helping to make sure that more community building are accessible to people with sensory and mobility disabilities. If you have undertaken an Access Audit of the building that has identified a need for improvements grant aid is available. You need to be able to fund at least 50% of the total project yourself, and are looking for that other 50% contact Mavis Wilkins email mavisw@wrccrural.org.uk or telephone 02476 217344 and ask for application form and guidance notes. These can be sent electronically if you wish. Mavis says “This scheme provides grants up to 50%, to a maximum of £5,000. Initial interest has been encouraging and applications are welcome. “ The Trustees have asked me to thank you most sincerely for this grant, how I wish all grant forms were as easy to fill in and replies so quick." "We are all very pleased to receive this help and thank you for the speedy response." “ It was very nice to have such a prompt response and a simple form to complete. So many grant giving organisations have such complicated application requirements and lengthy waits before decisions are made that you almost feel they don’t want to give the money away in the first place”. Between 19:00 hours and 19:50 hours on Tuesday 3rd January unknown offender/s have kicked in the front door of a house on Forshaw Heath, Earlswood. Once inside offender/s have stolen a Rolex Watch, a stereo, TV, Laptop computer and other items from within. The two offender/s have made off from the scene in a silver Subaru. Sometime before 10:50 hours on Tuesday 3rd January unknown offender/s have entered an unoccupied premises on Sherbourne Hill, Sherbourne by smashing a window. Offender/s have stolen a sofa from within. Between 08:30 hours on Saturday 31st December and 01:20 hours on Sunday 1st January unknown offender/s have forced a downstairs window to a premises on Malthouse Lane, Earlswood. Once inside offender/s have made a tidy search of the premises, locating car keys to a Blue Audi A6 and making off from the scene with stated vehicle. Between 20:00 hours on Saturday 31st December and 03:45 hours on Sunday 1st January unknown offender/s have forced the rear door to a premises on Shutt Lane, Earlswood. Once inside offender/s have made a tidy search of the premises making off from the scene with a number of electrical items such as a computer, TV and Playstation as well the keys for a Mercedes C Class motor vehicle which was also stolen. Between 07:30 hours on Thursday 29th December and 01:30 hours on Friday 30th December unknown offender/s have forced the french doors of a premises on Earlswood Common, Earlswood. It is not known at present if anything has been stolen. Between 19:00 hours on Thursday 29th December and 00:25 hours on Friday 30th December unknown offender/s have forced the rear french doors of a premises on Malthouse, Lane, Earlswood by unknown means. Once inside offender/s have stolen a mobile phone from within before making good their escape. Between 09:30 hours and 17:55 hours on Thursday 5th January unknown offender/s have gained entry to a domestic garage, within a block of garages, on Millfield Court, Henley, by unknown means. Once inside offender/s have stolen a number of power tools from within. Between 21:30 hours on Thursday 29th December and 09:15 hours on Friday 30th December unknown offender/s have stolen the registration plate from a blue BMW motor vehicle parked secure and unattended on St Marks Close, Ullenhall. Between 17:05 hours and 17:15 hours on Friday 30th December unknown offender/s have approached a gentleman who had broken down on Alderhanger Lane, Beoley and offered to assist him. Offender/s have then stolen a camera from the boot of the vehicle. The New Year Sales Have Already Started! It seems like the New Year Sales have already started so Warwickshire County Council’s Trading Standards Service are providing sales shoppers and bargain hunters with some timely advice to help them survive the New Year Sales. Trading Standards Officers want to ensure that consumers on the hunt for a bargain avoid ‘too good to be true’ offers, are aware of their consumer rights, and know what to do if things go wrong. The law controls the way that traders can advertise their bargain offers in the media or in shops, but there are ways in which the law can be side-stepped to trap the unwary consumer. Read everything it says on the sale notice or in an advertisement. A sign might read 80% off from a distance, but a closer look might reveal the words 'up to'. Shop around - even a 'massive reduction' doesn't mean you can't buy the same for less elsewhere. Don't be fobbed off by notices such as 'no sale goods exchanged' or 'no cash refunds'. If the sale goods you buy are faulty or mis-described then you do have a claim against the trader. But remember, if the product is labelled 'shop soiled' (for example if it is marked on the sleeve or you are given this information verbally, then this may affect your legal rights. Treat 'special purchase' items with caution. If the store has brought them in just for the sale, you have no way of making a price comparison. If you are sales shopping on the Internet you have home shopping rights that enable you to change your mind and cancel most orders within seven working days of receiving your goods – for whatever reason, as long as you are buying from a trader and not a private seller. Return the goods as soon a possible. If you don’t you may only be entitled to a repair or replacement. Take some proof of purchase with you – a receipt is best, but a bank statement, credit card slip, or other proof of purchase is also acceptable. Try and speak to the manager. Remain calm and polite, but be firm. Describe the problem and what you want done about it, for example getting your money back. keep a copy, and send it recorded delivery. The managing committee is the umbrella organisation for the sports and social clubs of the Playing Fields and the Memorial Hall. Town members are invited to become members of the committee and therefore, this is an open meeting for all Henley in Arden town people. HENLEY DIRECTORY The 2006 edition is being printed and should be available at the end of January. Copies will be on sale at The Vanity Box & John Dukes £4.00. Volunteers will also be calling with copies for sale. Make sure you get one - the next one won’t be available for another five years! Garden Open Day - Sunday 18th June 2006 There has been a good response from people willing to include their garden in the above. We should like gardens in the town to be more fully represented - there must be many little gems hidden behind the High St. Contact Sue Bridgewater on 793633 or Marijana Bainbridge on 794987 if you would like to be involved.